With 11 years of violin behind him, Michel Sadanowsky shares his passion for music between recitals, teaching and, with Billaudot, directing a collection of works transcribed for guitar (Bach, Dowland, etc). Flamenco aficionado, he published with Combre “The Green Ray”, flamenca suite that he composed in 2004. 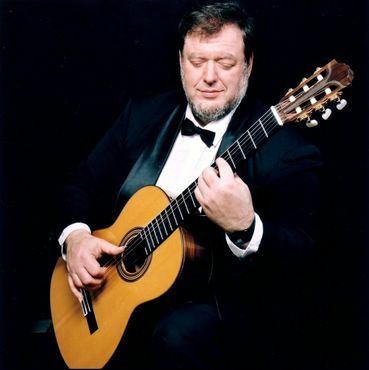 Since winning 1st prize at the famed Paris International Guitar Competion (Radio France) he has performed worldwide in the greatest festivals: Warsaw, Philadelphia, Stockholm, Seville, Prague, Hamburg, Buenos Aires, Sydney, Athens, Tokyo, among others. Internationally recognized, he regularly organizes workshops and gives masterclasses in countries as far apart as Japan, China, Belgium, Portugal, Germany, Sweden, Australia, the United States, Spain and France. He has been head of the guitar department of the JP Carrero Guitar Academy of Barcelona, and in 1986 founded the International Guitar Workshop of the French Côte Basque.